We are so excited about what God is doing in Nepal. In a land where less than 2% of the population have encountered the name of Jesus, new churches are starting and the gospel is becoming known in rural farming villages and larger cities all across the southern plains. Through the efforts of Jibit Asha – now just over a year old – there are currently 14 churches, with 29 additional fellowships growing into churches and plans to multiply even more. Through training, partnership, and the work of the Holy Spirit, new leaders are being sent into new territory every day. And the stories are powerful: from family transformation, to faith in the midst of persecution, to freedom from idols and spiritual oppression, to the discovery of newfound joy, community, and grace. 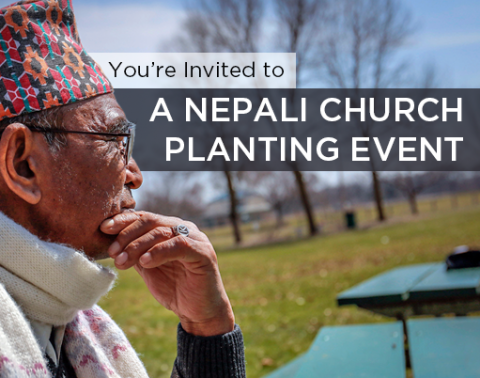 At this event, you will hear from those that have witnessed the good work being done in Nepal, have some great Nepali food, and be able to join in the celebration of what God is doing. Please RSVP here by Friday, March 1.